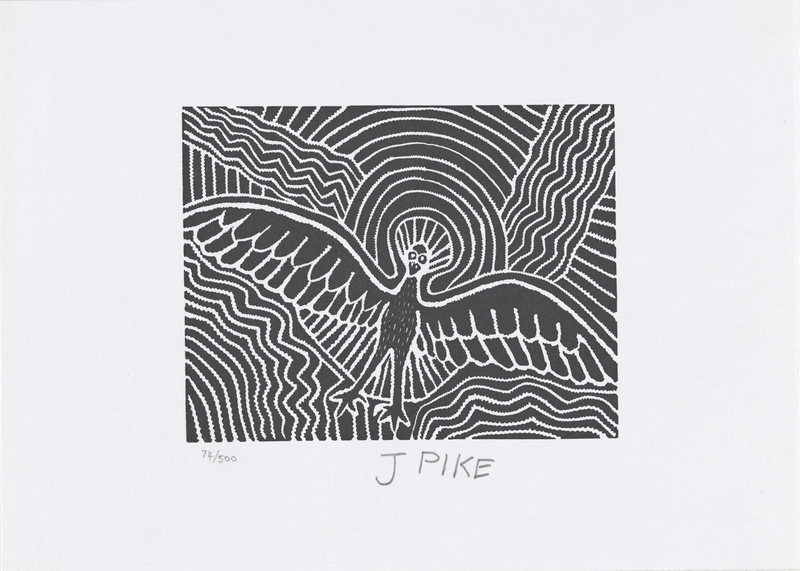 Inscribed 'J PIKE 74/500' below image. Inscribed 'ATS_1036/ATS_1036_024 2014L/0288' on reverse. Circular label inscribed '521' on reverse. When he comes down, he sinks down. As he goes down, he goes round in a circle, and makes steps in the rock right down. People can climb down the steps when they get water. This is jilji (sandhill) country.